The Walt Disney company posted an operating income loss of 97 per cent this week, prompting its CEO Bob Iger to review the way the company is to release its movies in the future. Speaking to journalists via a conference call, Iger blamed underperforming DVD sales and slow box-office returns for the income slump and admitted that it will be using the internet more and more to claw back viewers and revenues. He even hinted at full-length Disney movies to be available on YouTube was "a possibility". Although slightly dubious about making as much money from the internet as it has from DVD sale in the past, it seems that the company is now savvy to the idea of putting more and more of its content on the web now, with Iger explaining: "We realise that monetising at a rate that is as robust as the traditional platforms doesn't exist yet, but we believe... that eventually it will." He also admitted that the company was looking into its own web-subscription service for Disney-branded content. It is not just subscription based models Disney is looking at, however, with the company recently putting a 30 per cent stake into US VoD site Hulu.com, which means that selected episodes of shows like Lost will soon be free to watch. 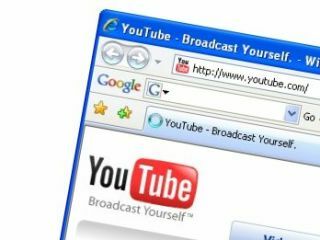 Iger also noted that YouTube was now seen as a viable website to host its content, explaining that "the possibility of our long form content ending up on YouTube platform still exists."